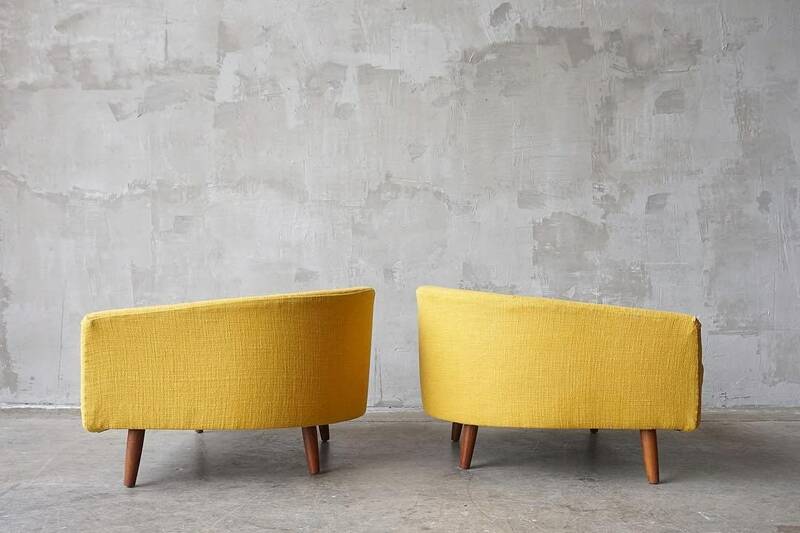 Incredible pair of rare ‘cloud chairs’ designed by Adrian Pearsall for Craft Associates, c. 1950s. 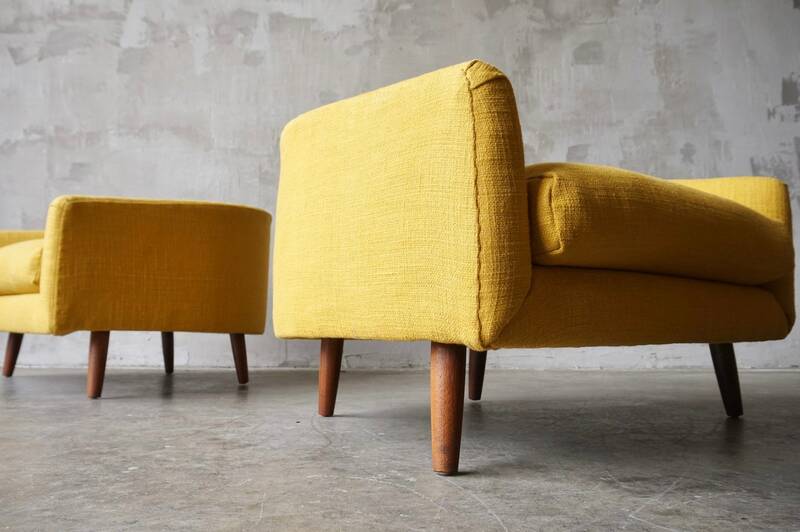 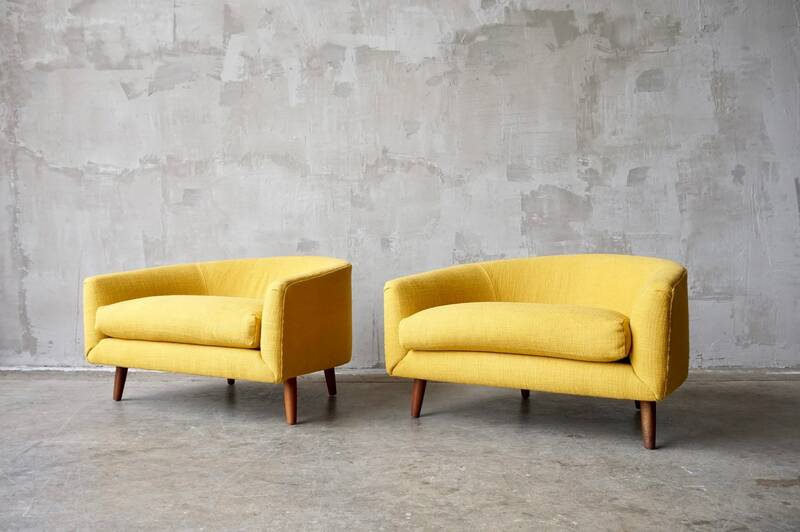 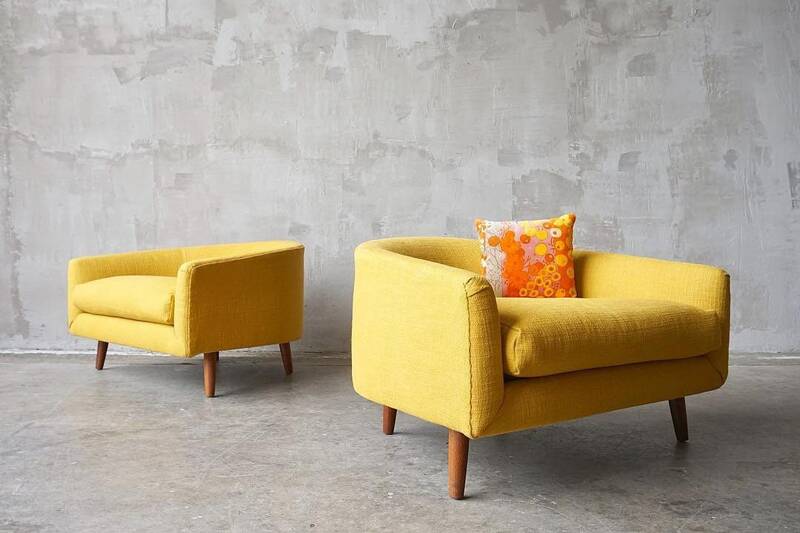 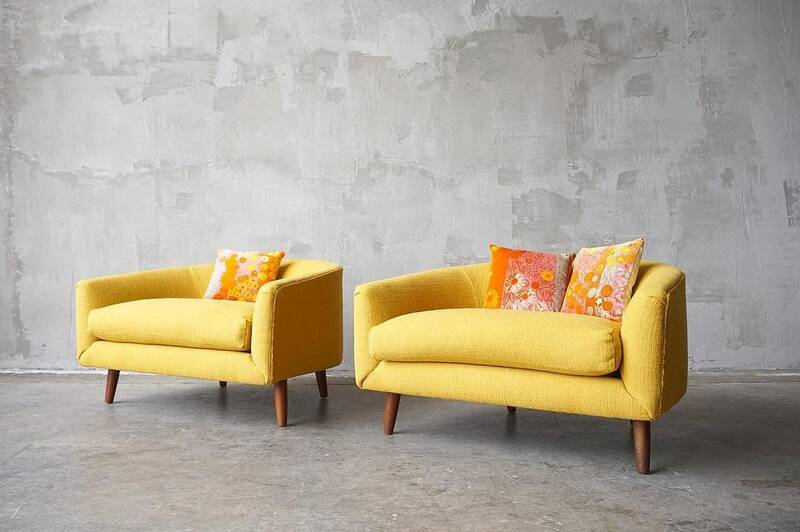 This pair has been upholstered in a vintage, vibrant textured mustard hopsack fabric. 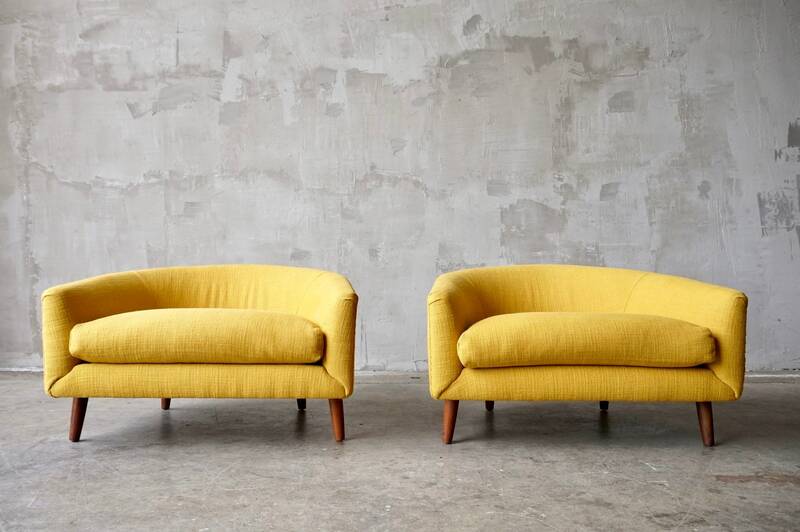 Original solid walnut legs have been professionally polished. 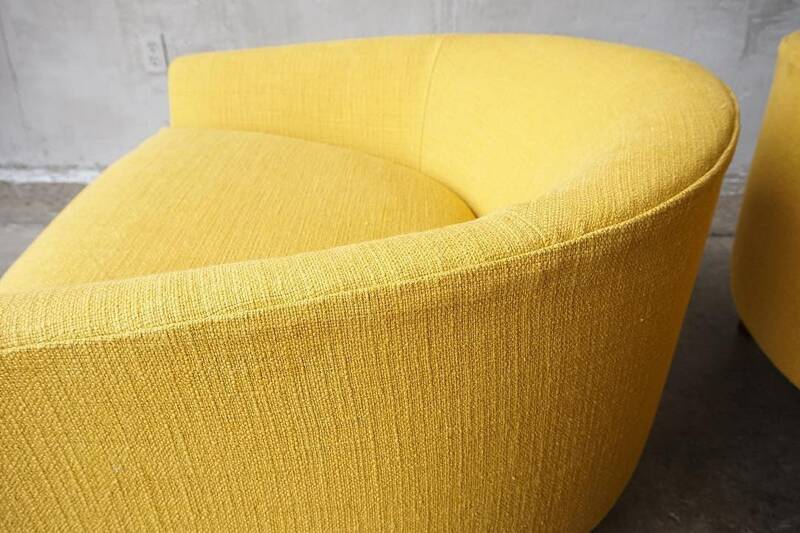 Each measures approximately 39”W x 23”H 34”D with a seat height of 15.5”.